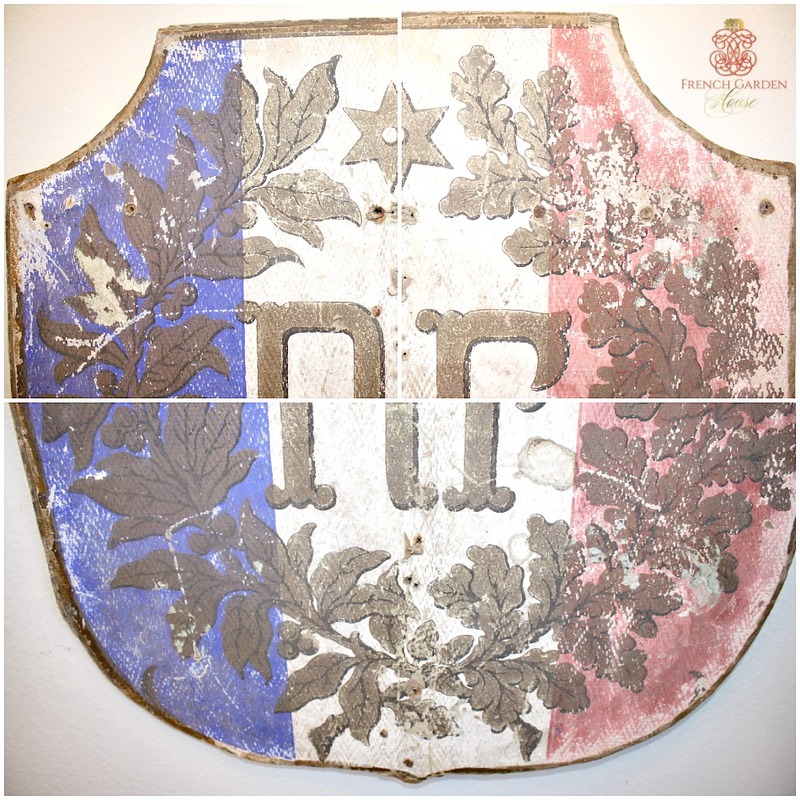 Fabulous Antique French République Francais Shield with age, patina, and a storied past. 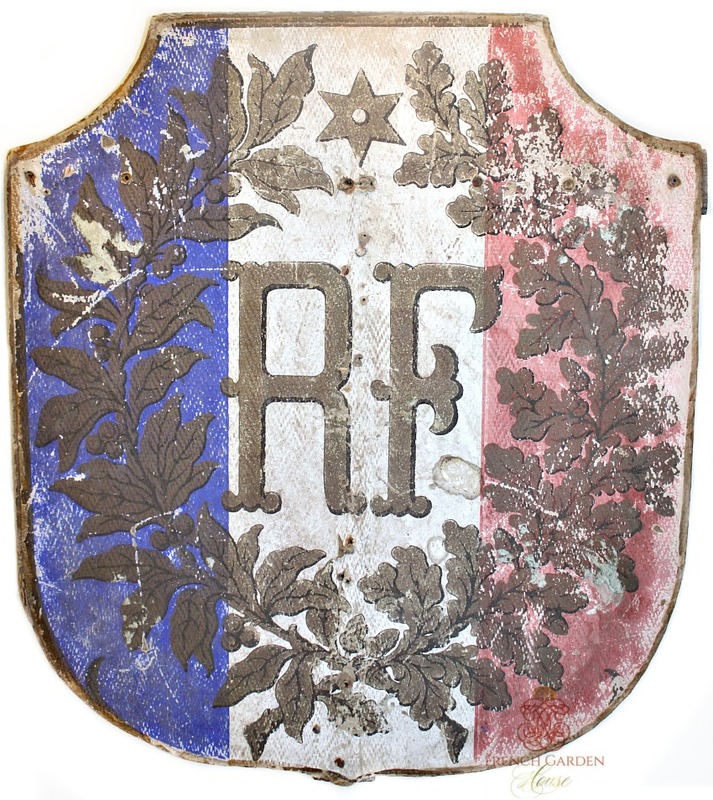 These are exceptionally rare to find, even more so than the flag holders, as most were destroyed long ago. 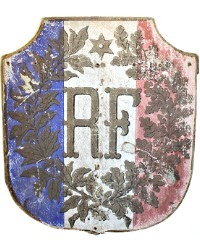 With plenty of personality, this original RF Shield was mounted inside a French municipal building usually the Mayor's office, in a place of prominence. The front board shield features the decorative French flag stripes of red, white and blue, the colors of France, RF, a gold laurel wreath, and star. 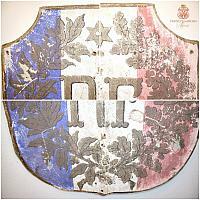 This particular shield sign, covered with a lithograph, is attached to a wood back for stability. 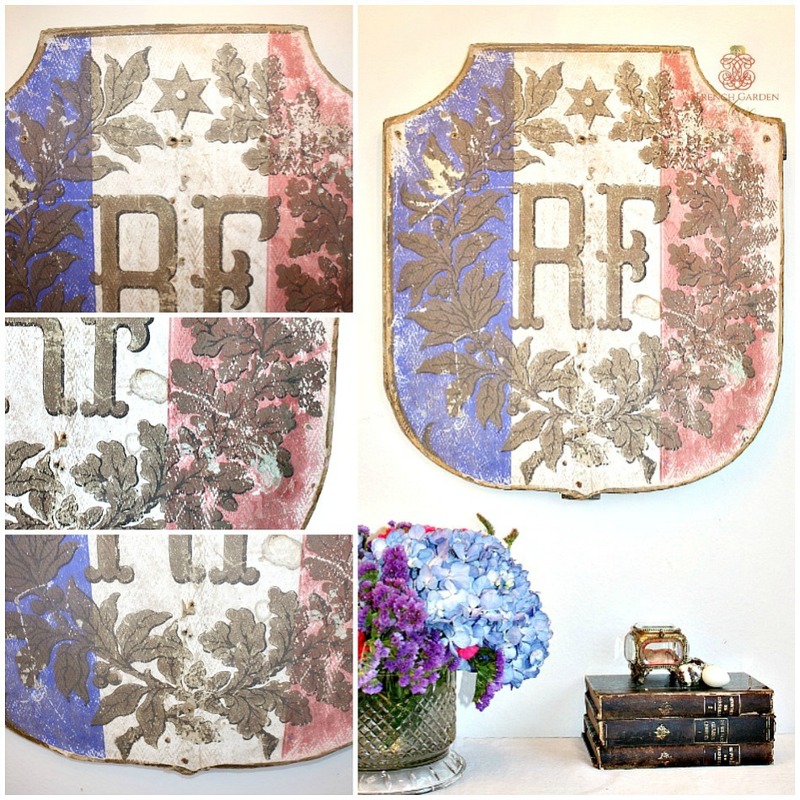 A work of art, a slightly quirky decorative addition to your francophile collection, reminding you of that afternoon in Paris when you discovered a treasure in an antique shop in Paris. 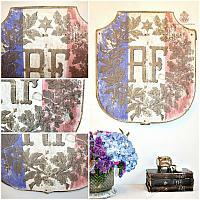 To display in your French home, will add French history and charm. Please only purchase this if you love wear, tear and patina, this piece has seen decades of use, then stored in an attic during WWII. There are openings where the sign was bolted to the wall. Gorgeous faded colors and grandeur. I was thrilled to find 2, please email to check availability should you want to buy both, price is for one. Measures 19" x 21-1/4" x1".